I got just got off the train, walked a few blocks and I made my first discovery in Wenatchee's Public Farmers Market minutes before closing. The waffledog! 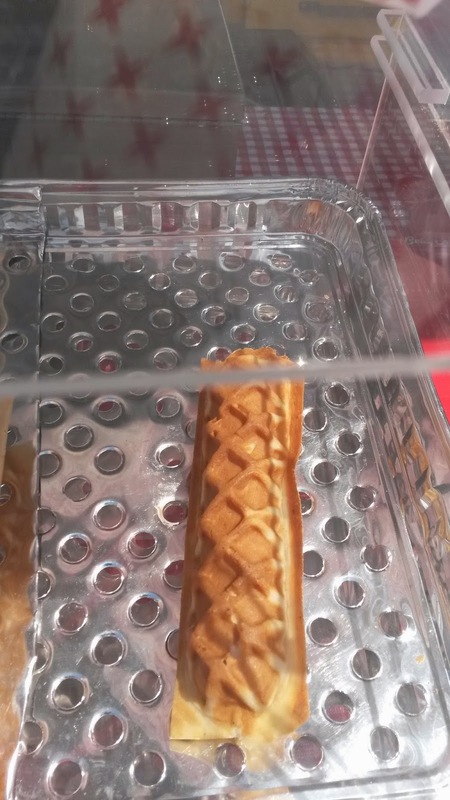 A hot dog wrapped in a waffle with a stick and offered with syrup and/or mustard as a dip to go. 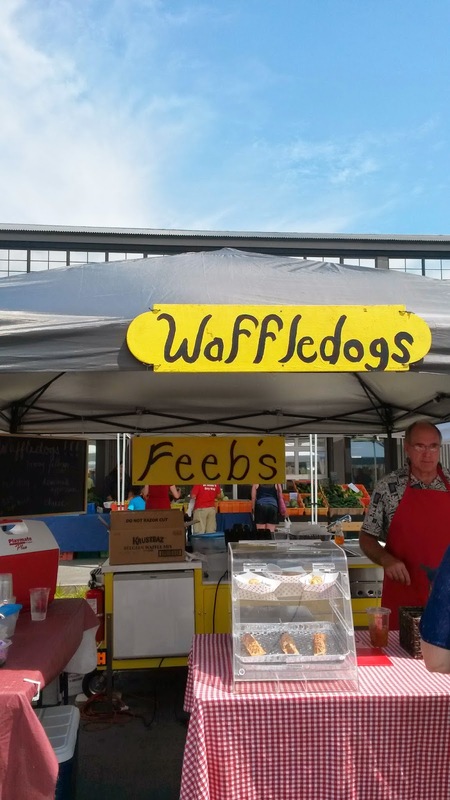 It was an interesting pairing with the sweet and savory flavors balancing together; the syrup was a good addition even if it made the waffledog slightly sweeter. 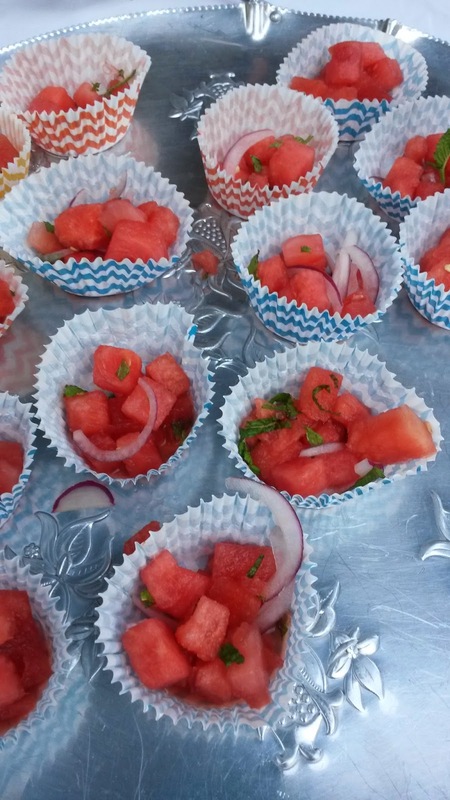 The watermelon salad with lime and chili was refreshing and a pure bliss in a 107 degrees day. 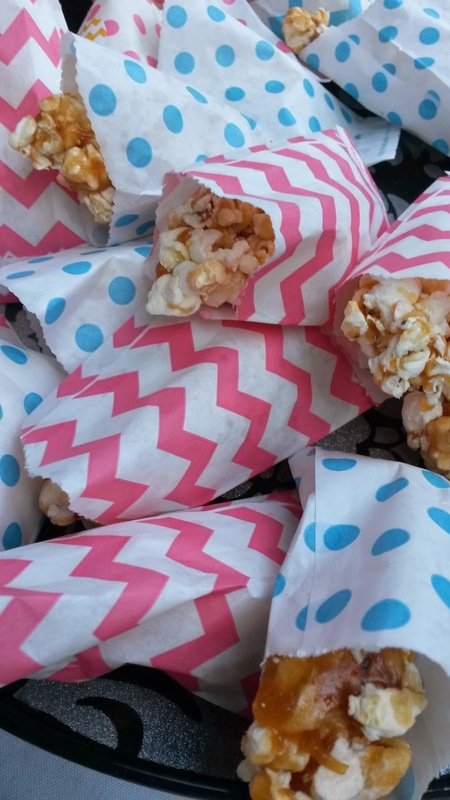 It was offered at the Wine & Food Gala at the OHME gardens. The Snowdrift Summer Red Apple Cider was a surprising red-colored cider made with the skin of red apples. This dry thus refreshing cider was lovely in aromas and flavors and what I needed in such a hot day. The Owl Soda Fountain was a nice finding while strolling on the main street. 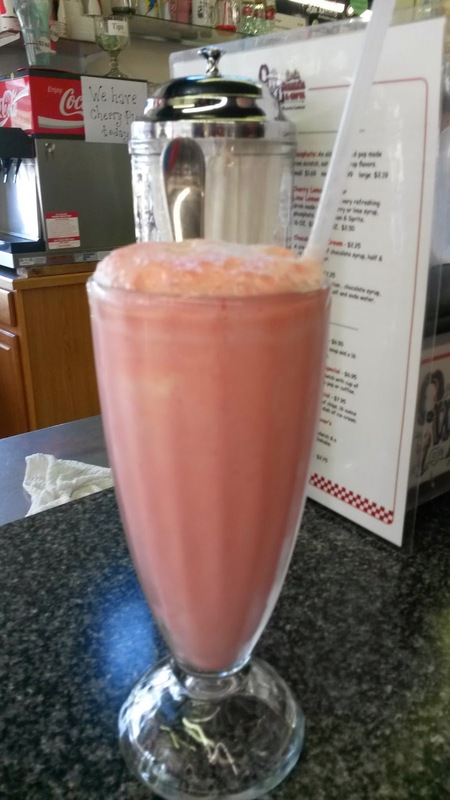 I entered, sat at the bar and ordered the ice cream soda made with cherry syrup, cherry ice cream and soda water on top all mixed and served with a straw and a long spoon in a tall glass. But I couldn't leave without giving the soda float a try and I chose the root beer float. For the float, first is added the root beer and then the ice cream on top served in a tall glass with a spoon to indulge. Both are the perfect remedy for the hot days in the summer; for the history they were discovered in the days of non-air conditioning. The Owl Soda Fountain made me nostalgic and brought childhood memories of ice cream parlors. 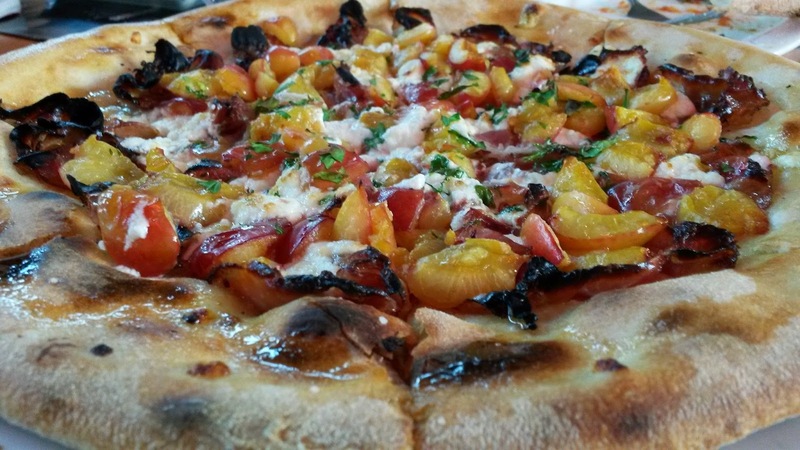 At the Fire restaurant, I had my first cherry pizza, made with fresh cherries, goat cheese, pieces of bacon and a pinch of salt and pepper. The pizza was one of a kind as the sweetness of cherries balanced off the strength of the goat cheese. Offered only in July when it is a cherry season, it was a treat. I also enjoyed the Italian margarita drink - a twist on the traditional margarita with a bright yellow color. The market which turned one year old in May is a foodie's heaven: from fresh meat, fish and fruit to artisan oils, demonstration cooking classes, local wines and an array of restaurants, you can get it all. In addition, on Friday evenings, there is a live music concert on a rail car. Wenatchee has more to offer: the Apple Capital Loop Trail for biking, paddle boarding at the lagoon (offered by Osprey Rafting), kayaking or just a nice swim at your hotel's pool. The summer months are hot and dry and the winters are super cold, ideal for skying on the mountains! Don't forget, it is the capital of Apples in the USA and maybe in the world.